Makes huge bright green wavy crest with gold spines. 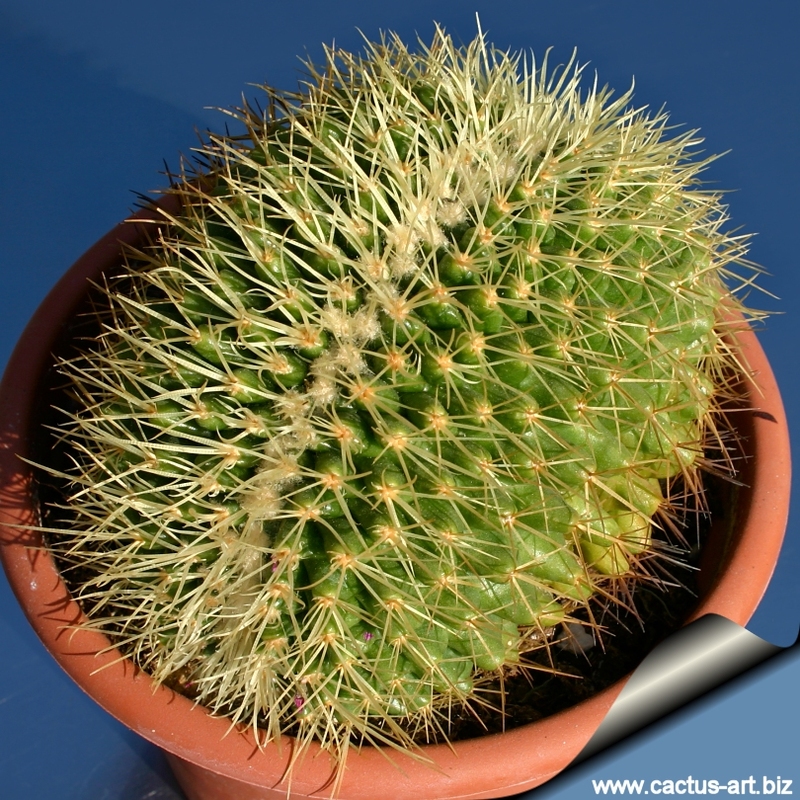 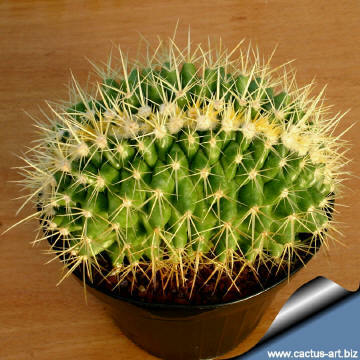 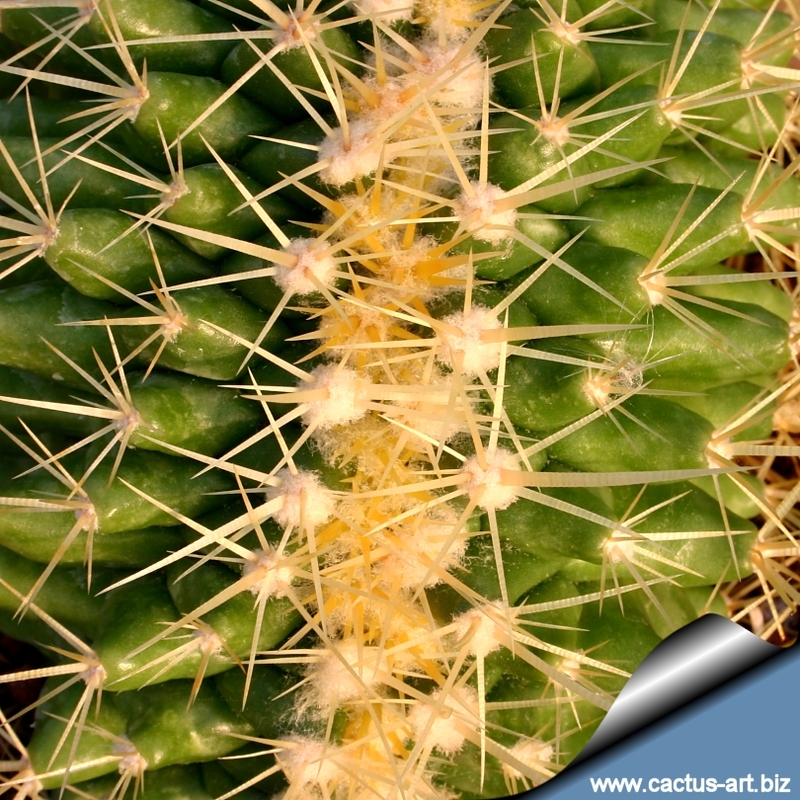 Description: The typical Echinocactus grusonii is a big globular cactus (commonly known as the "Golden barrel cactus") that is very popular and widely grown for its golden-yellow striking long, golden spines, but this beautiful crested form is still rare in cactus collection. The crested form can also get very big making a spectacular specimen. 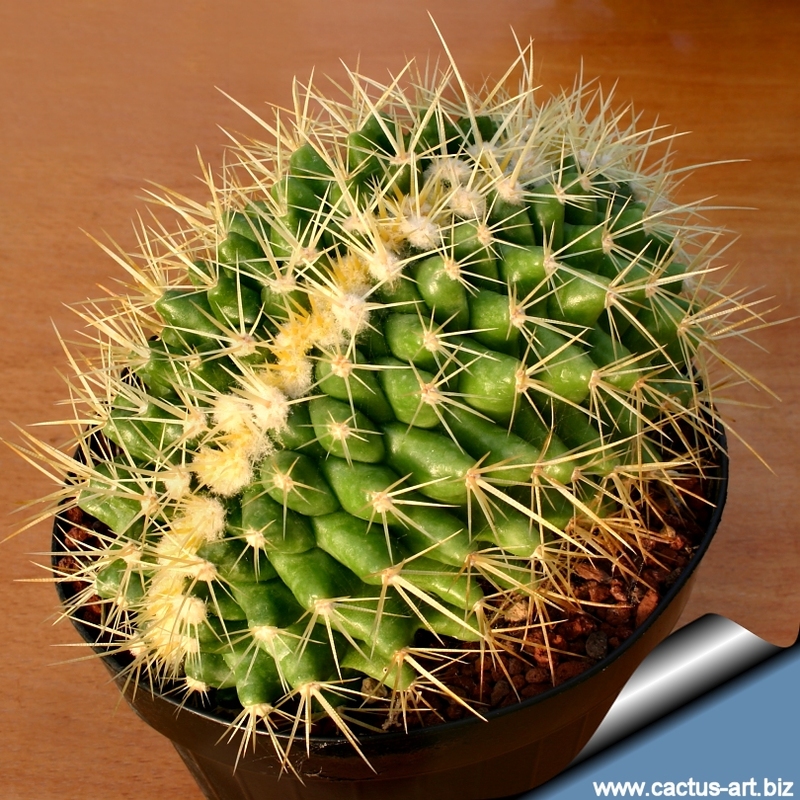 Stem: Pale green and heavily ribbed with numerous areoles sprouting radial, yellow spines.